As Valentine’s Day approaches, we now find ourselves in the middle of astronomical winter where temperatures are often hovering right around the freezing mark. 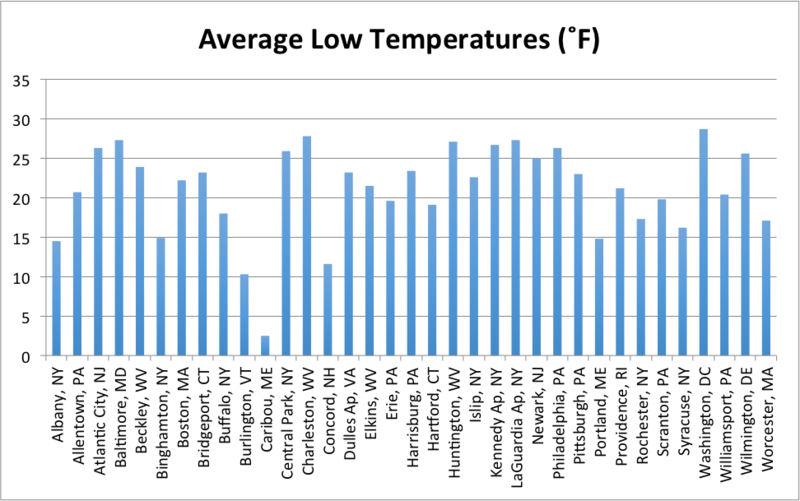 For many of the climate sites in the Northeast, temperatures have been below or near normal for this time of year. February is often regarded as a notorious month for winter weather events. And right on target, we saw the February 7th snowstorm last week which brought accumulating snow to the interior Northeast, including areas in Pennsylvania, New York and northern New England. To get a sense of the likelihood of a snow-covered Valentine’s Day throughout the region, here’s a quick look at those chances for each area. The probability of an inch or more of snow on the ground for Valentine’s Day based on data from each site’s period of record. Click to enlarge. Not surprisingly, Caribou, ME is the only one of the 35 climate sites where there is historically a 100% chance of snow on the ground for Valentine’s Day. Coastal areas and locations a little further south, such as Atlantic City, NJ and Wilmington, DE typically have less than a 20% chance of there being snow on the ground on Valentine’s Day. Since February is normally the coldest month of the year for much of the Northeast, it’s common to see temperatures dipping into the teens and single digits overnight on Valentine’s Day for many of the northern climate sites in particular. 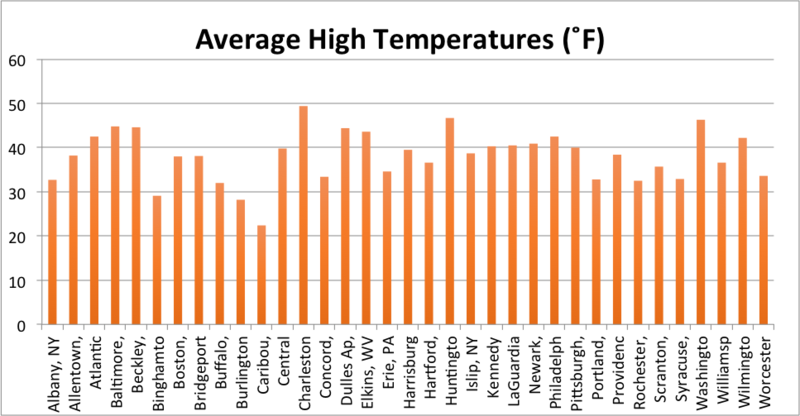 During the day, high temperatures are generally in the 30s throughout much of New England, New York and Pennsylvania around the middle of the month. Average high temperatures throughout the Northeast on Valentine’s Day. Click to enlarge.